​Edited by Antoon Melissen, with essays by Eugen Gomringer, Peter Lodermeyer and Antoon Melissen. the Riki Mijling Foundation. Signed copies are available on request! 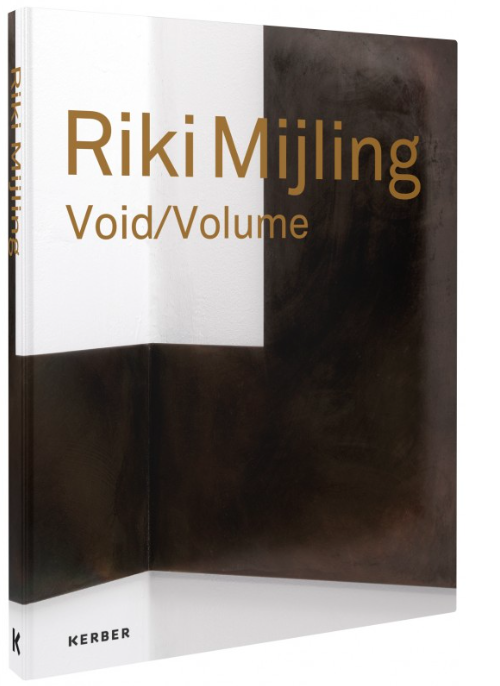 It was in the winter of 2016, that the newly formed Riki Mijling Foundation announced its plans to support a monographic publication on Riki Mijling. In the opening essay of this publication, Antoon Melissen traces the origin of Mijling’s work, placing it in a context of predecessors and contemporaries. His essay will link the development of her oeuvre to influential exhibitions, biennales and publications from the mid-1970s onwards. Thus, this essay offers more than an insight in the topicality of Riki Mijling’s oeuvre alone: it also mirrors a changing cultural landscape which, since the 1970s, has become increasingly transboundary and multi-disciplinary. Author Peter Lodermeyer’s will put special emphasis on the rich tradition of European minimalist tendencies, and the meaning of Mijling’s work in relation to contemporary notions of 'minimalism' and 'non-objectivity'. Eugen Gomringer will contribute with his 'Sonnet for Riki Mijling'. Antoon Melissen (Borne, the Netherlands, 1967) is an art historian, curator and writer, with a special interest in post-war Dutch art in an international context. Melissen published several monographs and wrote catalogue texts for the Peggy Guggenheim Collection, Venice, Stedelijk Museum Amsterdam, Martin-Gropius-Bau, Berlin, and David Zwirner Gallery, New York. ​Peter Lodermeyer (Ottweiler, Germany, 1962) is an art historian, art critic and author. Since 1999, Lodermeyer published books, scholarly articles, artist interviews, catalogues and essays on a variety of aspects of contemporary art. Peter Lodermeyer is a professor in Art History at the Rheinische Universität in Wuppertal, Germany. Eugen Gomringer (Cachuela Esperanza, Bolivia, 1925) is an internationally renowned poet-essayist, and counts as the founder of post-war 'concrete poetry'. Gomringer is founder of the IKKP, institut für konstruktive kunst und konkrete poesie, and Kunsthaus Rehau, an exhibition space with a focus on non-objective, concrete art. Loek Kemming (Velp, the Netherlands, 1951) is a leading typographer and graphic designer in the field of architecture and design, combined with a strong involvement in substantial, editorial work. Kemming served as editor and designer of Items, the most important Dutch design periodical, meanwhile designing house styles, books and magazines for leading entities in the publishing world.